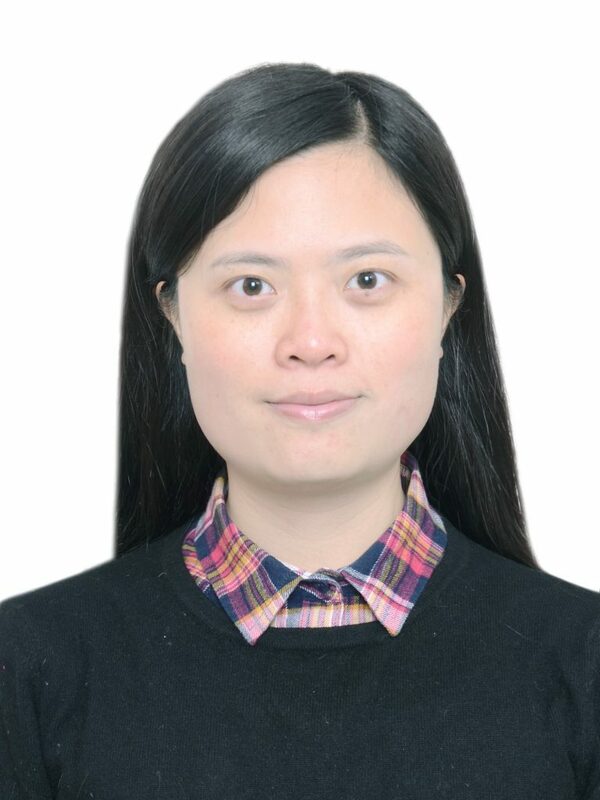 Jie Xu received the 2018 MAIZE-Asia Youth Innovators Award from the CGIAR Research Program on Maize (MAIZE) for her work on drought stress in maize root systems. Her work seeks to understand the genetic basis of plant adaptation to drought with a view to applying the findings to breeding drought-tolerant maize. Originally from Chengdu, in Sichuan Province, China, she is an Associate Professor at Sichuan Agricultural University. In a recent interview, she discussed the challenges and opportunities facing maize in Asia, as well as the importance of involving young women in agriculture and maize-based systems. I was born in the western rural area of China, where maize is widely cultivated, being one of our favorite crops. When I was a student in Sichuan Agricultural University, I joined the maize research institute for my bachelor’s degree in 2006 and began my maize drought tolerance research under the guidance of my mentor, Prof. Tingzhao Rong. Drought tolerance is a very complex trait – it takes us years to screen the typical tolerant/sensitive inbred lines and construct the suitable research populations.By studying the maize inbred lines, which exhibit different levels of drought tolerance, we explore their genome and transcriptome variations to understand the genetic basis of plant adaptation to drought. This knowledge can then be applied to breeding drought-tolerant maize. However, the more I learned, the more I realized how much I didn’t know and just how complex the drought-tolerance trait is. Maize is an important crop in many areas and its production is critical to world food security and economic development. There are many factors that can have an effect on maize yields, including increasing competition for land, lack of labor, poor soil quality and fertility, changing climate and damage caused by pests and disease. In my opinion, the greatest challenge to increasing maize production is abiotic stress, especially drought stress. With global climate change and water scarcity, drought is becoming an important abiotic stress affecting maize growth and yields. According to statistics, the drought-affected area during 2016 to 2018 increased by thousands of hectares, with western China one of the most heavily affected regions. What is worse, it is widely accepted that drought stress will become more acute as a result of climate change. On the one hand, the development of irrigation technology means water use efficiency could be greatly improved, allowing maize cultivation in the developing world to be independent of rainfall. On the other hand, maize breeders have long been working on enhancing desirable traits, such as multiple stress tolerant and high-yielding maize varieties. This work is valuable, but time and labor consuming. Thanks to molecular biology and recent developments in plant molecular genetics, associations between markers and traits now provide us with a powerful tool to introgress favorable alleles. The marker-assisted breeding speeds up the process and makes selection more efficient in maize breeding programs. I am interested in maize roots that influence performance under drought stress. By studying the maize inbred lines, which exhibit different levels of drought tolerance, we explore their genome and transcriptome variations to understand the genetic basis of plant adaptation to drought. We have developed methods and dissected the genetic and epigenetic mechanisms underlying maize drought stress response. We combine the common variants and clustering analyses to identify non-synonymous single nucleotide polymorphisms (SNPs) and corresponding candidate genes for drought tolerance. The method we developed has potential uses for identifying candidate genes for complex traits through the next-generation sequencing technologies. In addition, we revealed the impact of the smRNAs and histone modifications have in regulation of maize roots natural antisense transcripts (NATs) expression and the significance of NATs in response to drought stress. The genes we identified in our works could not only facilitate understanding the genetic basis of drought stress response, but also accelerate genetic improvement through marker-assisted selection in maize breeding. The molecular marker we developed would be very powerful when used for dissecting the genetic populations and various maize germplasms. I think holding academic seminars every year could provide a platform for communication among young people and their seniors. The attendees could widen their own vision and get inspiration for their research and problem solving during such communications. In addition, I think it is important to encourage cross-border cooperation to incorporate youth in maize R4D, since cross-border cooperation can attract attention in many fields and expand influence. Q: What advice would you give to other young women interested in pursuing a career in agricultural science/maize-based systems? Firstly, find out what you are really interested in and the values of your work. When we start our career, we need along-term plan. More importantly, go step by step to get close to your goal.There may be difficulties on the way, but problem solving itself is part of the fun of the research. Our goal is to improve the efficiency of water use in China and in the world, thereby reducing hunger. Meanwhile, as an associated professor at the agricultural university, I am responsible for teaching and advising undergraduate and graduate students. I enjoy encouraging students to expand their horizons and utilize training opportunities so they can become the next generation of crop breeders.